By now, we are all well aware that mobile devices are rapidly transforming business, in particular the world of e-commerce. However, pinning down which of these changes really matter, and why, is often a struggle. The rise of smartphones, tablets, and phablets has led to so many shifts—from little tweaks (such as the need for bigger, clearer fonts) to huge strategic moves (the current payment wars)—that just keeping track of it all can feel overwhelming. Trying to draw the right strategic lessons is even more daunting. To help, we’ve highlighted seven key ways mobile devices have transformed e-commerce. This list, of course, is no means an exhaustive rundown of every change in the space. Rather, it’s simply an overview of some of the shifts we believe matter most. The biggest impact of mobile on e-commerce may be that it has dramatically expanded opportunity. Until smart-devices became prevalent, online purchases were constrained by location—you really only could shop while at a desktop/laptop computer that had an Internet connection. Today that’s all changed. Always-connected mobile devices let us shop from anywhere, and so have fundamentally changed shopping behavior. In particular, mobile has broken down the wall between physical retailers and digital sellers. 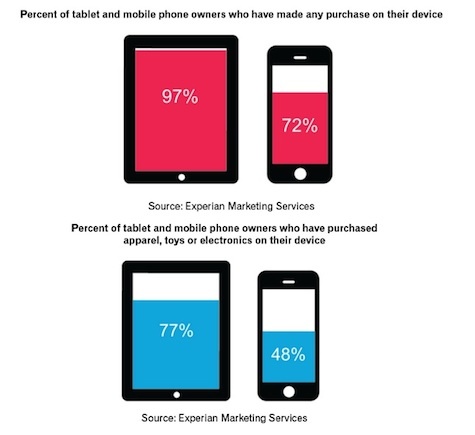 For example, according to recent data from Experian, 97% of tablet owners have made a purchase on their device, and 83% have engaged in shopping-related activities immediately before, during, or after visiting a store. For both brick-and-mortar and e-commerce companies this represents both a huge opportunity and a huge challenge. Consumers are increasingly accustomed to the idea that almost any product can be bought online from any location. That means more comparison shopping, more price awareness, and potentially shifting sales. Accompanying the overall shift in shopping behavior is a change in purchasing behavior. Oddly, mobile devices have altered the process in two contrasting ways. On one hand mobile has made “showrooming”—viewing an item in a brick-and-mortar store and then buying it later online—more common. Business Insider estimates that 59 million American shoppers did this last year, meaning that the purchasing timeline for a significant number of transactions has become elongated. 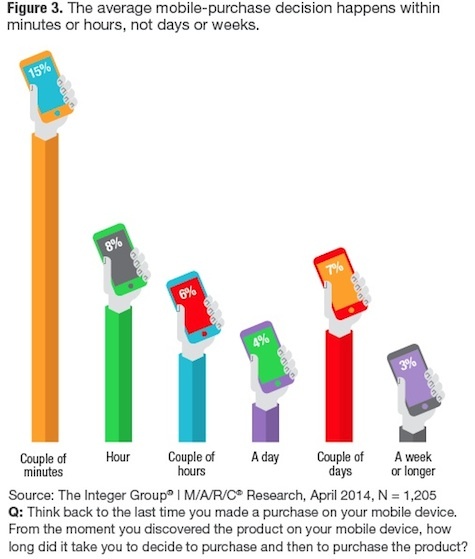 On the flip side, the immediacy of mobile devices has also shortened the purchase process in other cases. 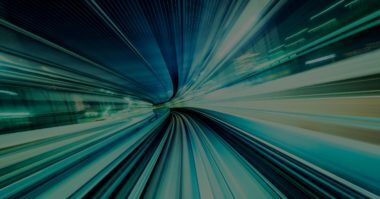 A study by The Integer Group found 15% of all mobile commerce purchases now occur extremely quickly (within a couple of minutes of discovery). 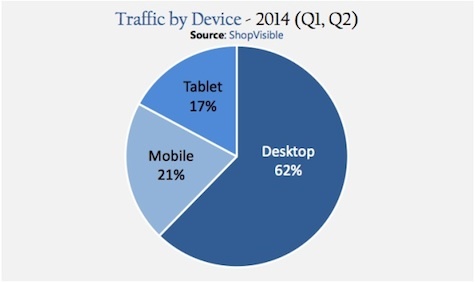 Why do people tend to shop so quickly on their mobile devices? Often because they have limited time and limited screen space to browse. These same factors mean that consumers often return to brands they trust when mobile shopping. That’s why brands that offer a seamless mobile shopping experience earn the respect and loyalty of their customers. Amazon, for example, is so strong as a mobile shopping entity that it boasts the largest mobile-consumer base of any e-commerce company. Moreover, companies such as Amazon continue to increase their share of mobile e-commerce because the cycle snowballs—once a mobile shopper favors a brand, they tend to return over and over (and over). User experience and functionality are a crucial part of mobile commerce, and in many ways the most simple to understand. Basically, your site must work well on a device for a sale to occur. That means both the small things and the big things must be done right. In particular, consumers expect that core e-commerce functions such as “add to cart” work smoothly and error free. 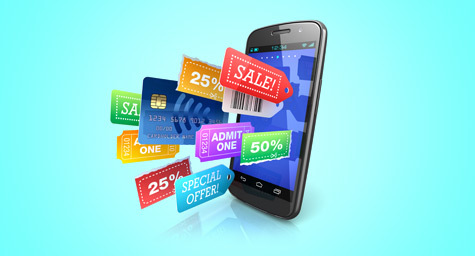 This mobile-optimized functionality can make or break an e-commerce offering. Of course, getting it right isn’t easy. Mobile functionality isn’t just one thing. Beyond the multiple design theories (such as responsive design vs. dedicated mobile sites), there is the broader problem of needing to account for both mobile apps and mobile websites. Moreover, there are myriad smartphone screen sizes to think about. On top of all that, there’s the fact that “mobile devices” encompass two big categories—phones and tablets—with very different design and UX needs. Research from ShopVisible shows that each of these device types now accounts for a significant chunk of e-commerce traffic (21% for phones; 17% for tablets on average), meaning that neither can be ignored without jeopardizing revenue. Hand-in-hand with functionality comes reliability. Consumers expect the same mobile shopping experience wherever they go. They want the technology to work securely and safely, each and every time they make a purchase. If an e-commerce entity violates that trust (i.e., with slow page-load times, security warnings, etc. ), it can translate to lost revenue. This is true on desktops as well, but to a lesser extent. On a mobile device, both bandwidth and time are extremely precious, making reliability an absolute essential. How can consumers ensure that an e-commerce site is reliable and that their goods will arrive safely? Increasingly, via insurance. This is one of the unexpected ways that mobile devices have changed not just e-commerce, but commerce in general. In the past, when a consumer walked into a store, they probably felt reasonably comfortable that they’d make it through checkout and back home safely with the product. For mobile commerce those things are not necessarily a given, and so the ability to gain peace of mind about purchase and delivery with insurance is worth the cost. Finally, the common thread that runs through many of the changes wrought by mobile is trust. Mobile devices have made trust even more essential for e-commerce sites because of limited time and bandwidth, as well as because of additional security and privacy concerns. This necessity for trust while shopping is nothing new—for time eternal, people have been trying to figure out whether they can do business with a store based on certain signifiers. The difference is which clues consumers use in the digital environment. That, in essence, is the key to mobile e-commerce today. If you can establish trust via certain factors—functionality, reliability, insurance, exceptional service, etc.—consumers will not only engage with your brand, but they’ll come back again and again. Learn new strategies for boosting your brand’s e-commerce revenue. Contact MDG Advertising today at 561-338-7797, or visit mdgadvertising.com.